This is Nissan’s URGE Concept, developed by Nissan’s US design studio in La Jolla, California. The URGE Concept’s styling is supposed to be inspired by motorcycles. 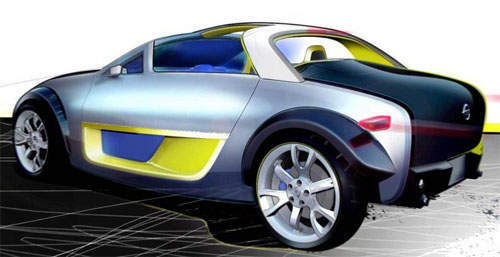 The concept car is powered by a small-displacement, high-revving engine, much like a motorcycle engine. The Nissan URGE Concept also features an integrated Xbox 360 system integrated in it’s driver-oriented cockpit. This concept could somewhat lead to a small sports car from Nissan, positioned somewhere above the Micra C+C. A baby Z-car perhaps. The Nissan URGE Concept will be unveiled at the Detroit Motor Show in January 2006.